← a new year of creating! the last couple of nights before the semester started, i wanted to work on something that i could start and finish in a couple of days. once classes start, it’s so hard for me to justify making the time to crochet or knit, because there is always something more pressing to do. that’s why all my posts have been about cooking or baking for the past few months – i have to eat, so i can at least have some fun making new recipes! i have a ton of patterns bookmarked on the lion brand website, but i’ve been wanting to make this cowl scarf for quite awhile. i was searching for a hat pattern that would be similar enough to match, and found a hat that actually uses the exact same shell pattern! their website doesn’t indicate that either has a matching item, which is unfortunate, because they make a really cute set. the patterns are both on the lion brand website; here is the scarf pattern and here is the hat pattern. i didn’t really keep track of the time, but it didn’t take more than two hours for the scarf and i think the hat took about an hour or so. i have already made another cowl scarf as a gift (over the course of a couple nights, 20 or 30 minutes at a time). i think i might start building up a collection of cute, quick projects like these for if i ever start selling my work! 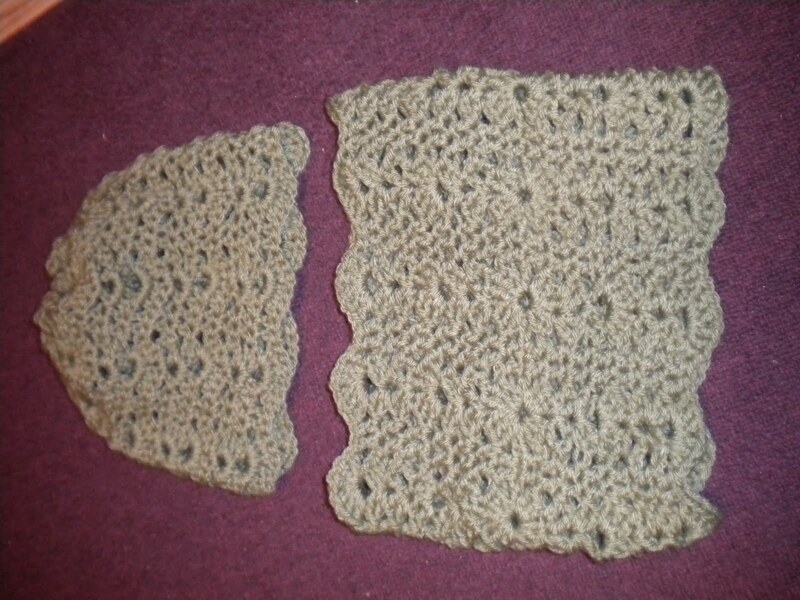 This entry was posted in Crochet and tagged cowl, crochet, hat, scarf. Bookmark the permalink. Thanks! I love this pattern!